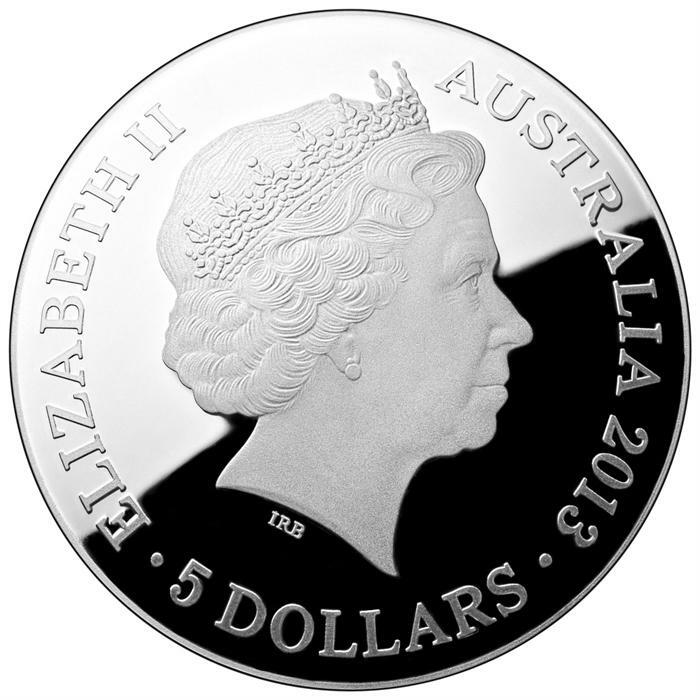 The Royal Australian Mint has released the second coin within their “Southern Sky” series. 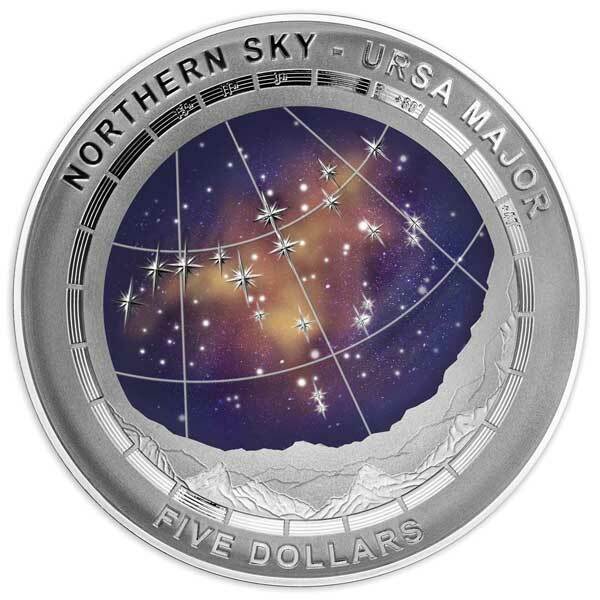 These coins feature constellations visible in the southern hemisphere presented on color printed domed coins. 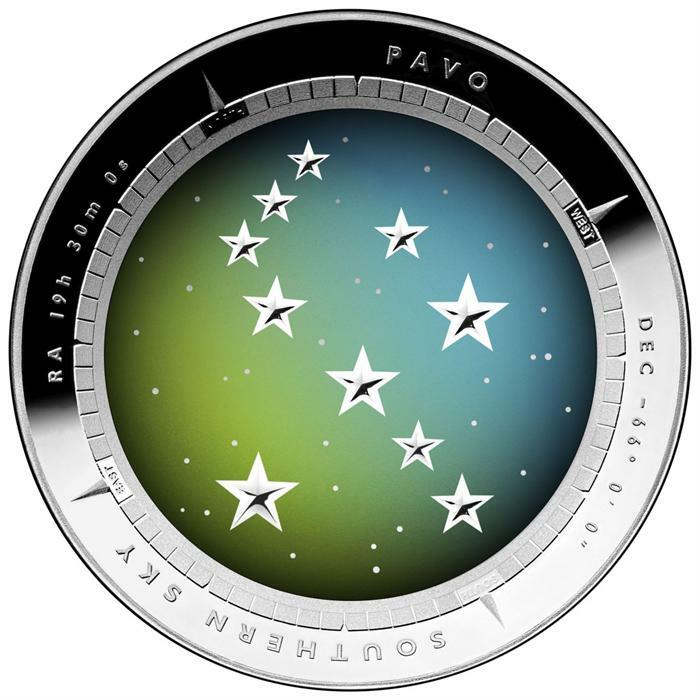 The latest coin features the Pavo constellation, first described by Dutch astronomer Petrus Plancius and most visible in the southern sky during August. Its name is Latin for peacock. 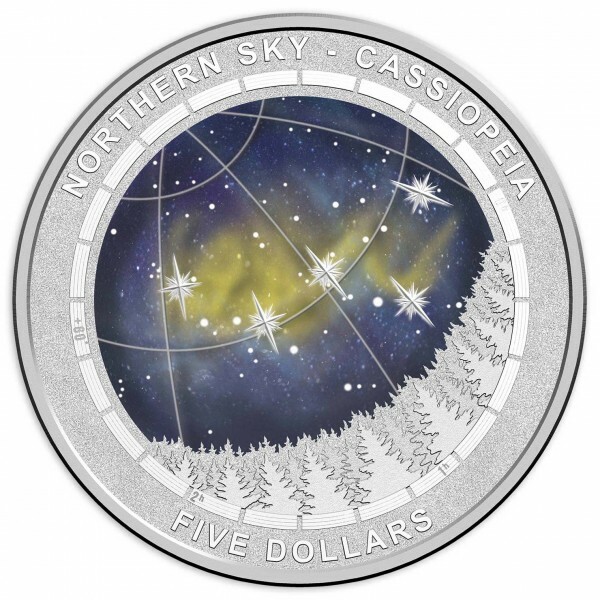 The constellation is depicted on the concave surface of the reverse of the coin, with an iridescent colored background of blue and green to accentuate the night sky. 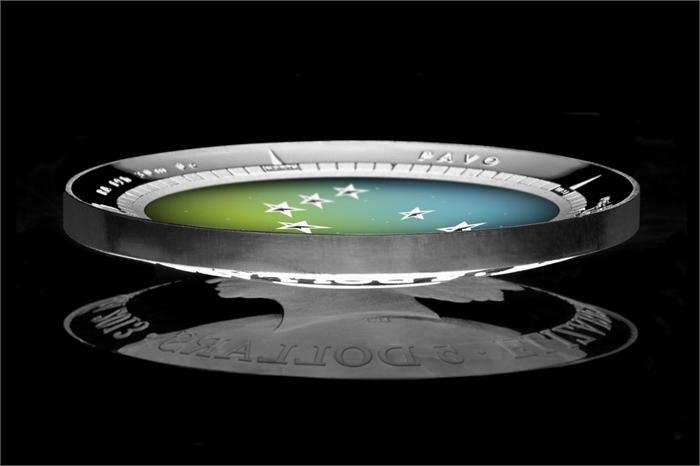 A compass themed border surrounds the design, carrying navigational markers and coordinates where a viewer can observe the constellation. The convex surface of the obverse of the coin features the Ian Rank-Broadley effigy of Queen Elizabeth II, along with the legal tender face value and date of issue. 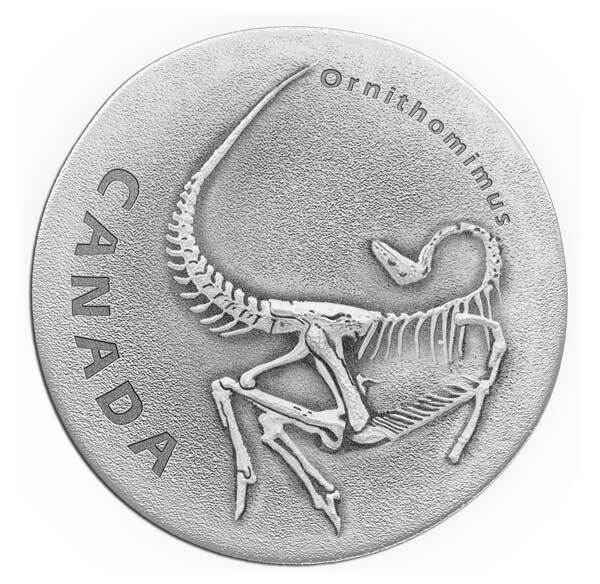 Each coin is struck in 1 troy ounce of 99.9% fine silver to proof quality. 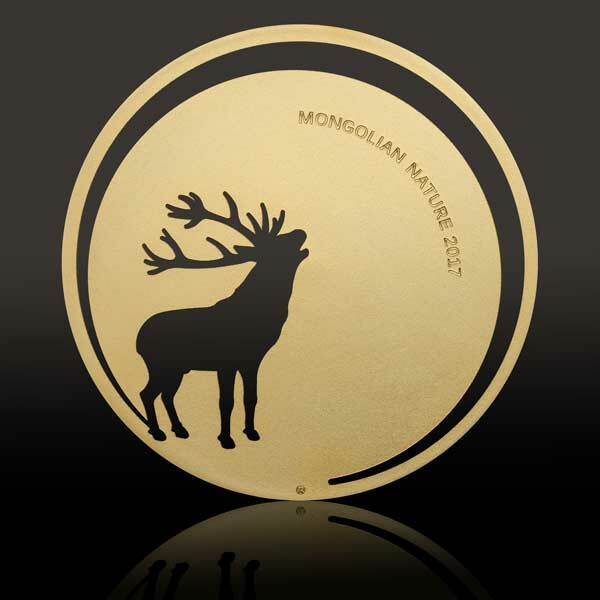 The diameter is 39.62 mm, and the mintage limited to 10,000 pieces. 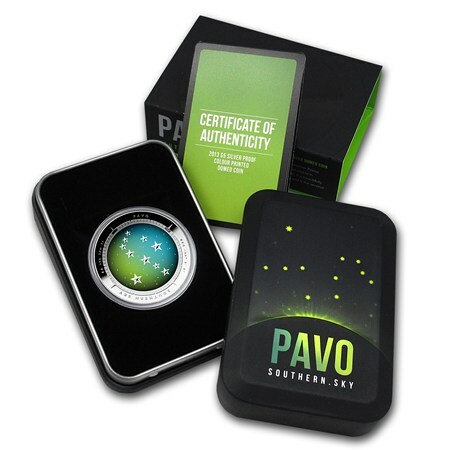 It comes supplied in a presentation box with a Certificate of Authenticity.